Brie de Meaux has been nicknamed King of Cheeses in France. 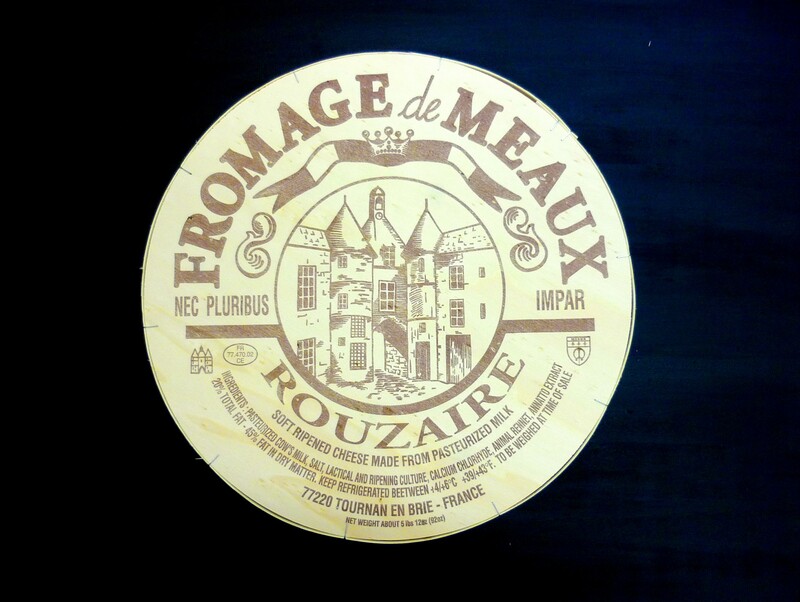 Brie de Meaux is a raw cow’s milk soft cheese with a white mouldy rind. The cheese from the “pays de Brie” seems to have been known since the time of Charlemagne who liked it very much. Blanche de Navarre, countess of Champagne, used to send some to King Philip Augustus. In 1814 it received the supreme consecration at the Congress of Vienna and gained its nickname “king of cheeses” and “the cheese of kings” during a dinner organised by Talleyrand where each ambassador had been invited to bring from their country a cheese of their choice. The production of Brie de Meaux was originally carried out in the Meaux region. It moved progressively eastwards when the first industrial cheese factories appeared in the Meuse area as early as 1853.
parts of the départements of Yonne, Aube, Marne, Meuse and Haute-Marne. Brie de Meaux has managed to preserve its farm-based production. The affinage is slow and regular, taking at least four weeks during which the cheese is turned by hand several times. When put up for sale to the consumer, the cheese must be ripened through at least half its thickness. Brie de Meaux weighs from 2.5 to 3 kg with a diameter of 36 to 37 cm. Its rind is thin, white with red patches. It has to be chosen “affiné à cœur“ (ripe all the way through): soft, even-textured, uniformly creamy pâte. Eaten at the end of the meal, Brie de Meaux can also be enjoyed as canapés, in croquettes; it is used in several regional dish recipes. It goes well with Burgundy or Bordeaux red wines.